In I kissed a Vampire, Dylan is not your average teenager. He has weird dreams about a Goth rocker named Trey Sylvania. Dylan also has a growing thirst for blood. He is far from the average teenage boy as it comes. His dreams, and thirst for blood all started when he was bitten by a fanged exchange student. Dylan wants to stop this process, but has no idea how to do so. His dentist can't help his tooth pain, emerging fangs. He can get anti-blood sucking pills from his parapsychologist, but they give him a rash. Dylan is scared and does not know what to do, especially when it comes to his girlfriend Sara. Sara is confused and hurt, and has no idea why Dylan is acting strangely. 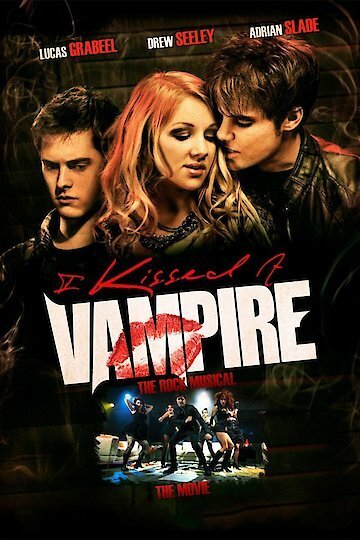 I Kissed a Vampire is currently available to watch and stream, download, buy on demand at Amazon Prime, Amazon, Vudu, Google Play, iTunes, YouTube VOD online.